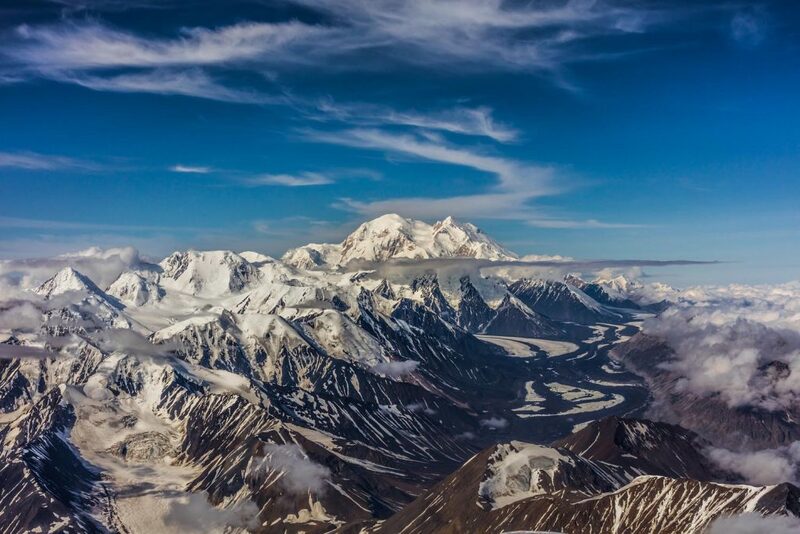 The tallest mountain in North America is the flagship of Denali National Park. At 20,310 feet, Denali (“the high one” in Athabaskan) dominates the landscape, as surrounding mountains are no taller than 11,000 to 14,000 feet. The 6 million acres surrounding the peak was designated a national park in 1917 to protect the area from the reckless abandon of gold rush miners and big game hunters in the early 1900s. Getting to this most unique park is easy. You can actually see the peak from Anchorage, but take the Glenn Highway (Alaska #1) north and east from the city 30 miles to the Parks Highway (Alaska #3). Then follow it about 200 miles north to the park entrance. Or, if you’d like to enjoy all of the scenery along the way, take a trip on the Alaska Railroad from Anchorage. The video below will give you a good idea of what you can see from the rail car. Today the national park has one road venturing 90 miles into the wilderness, which is closed to private vehicles at mile marker 15. So you can park your RV and let someone else do the driving! Visitors ride park shuttles to experience the prolific wildlife and spectacular beauty of the region. 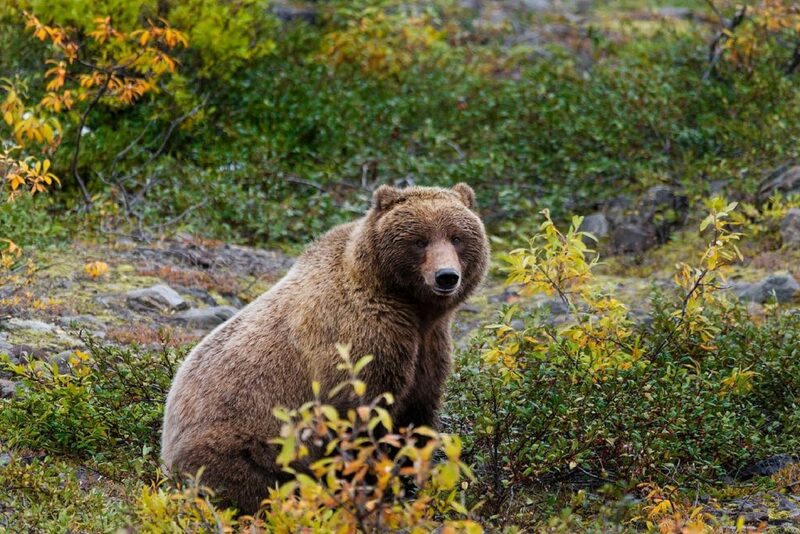 There are 37 species of mammals in the park, but most visitors are anxious to see the five big ones: grizzly bears, Dall sheep, moose, caribou, and wolves (they call this the “Denali Slam”). As with most destinations in Alaska, there are any number of outdoor activities within the park. Bus tours (both transit and narrated) are a great way to see the park and its ‘residents.’ Many visitors opt for an overview of the area as flightseers. A large number of commercial flight operators abound around Denali and in the small town of Talkeetna, so you should have no problems booking a reservation to see the park from the air. Backcountry camping permits are free and required for backpacking. There are six campgrounds in the park, but only two are available to RVs. If those fill up remember that Alaska is full of national forest land, where dispersed camping is allowed. In summer many park visitors enjoy whitewater rafting on the Denali River to Healy. Fishing is practically an Olympic sport in this state, with salmon, halibut and trout as the main draws. 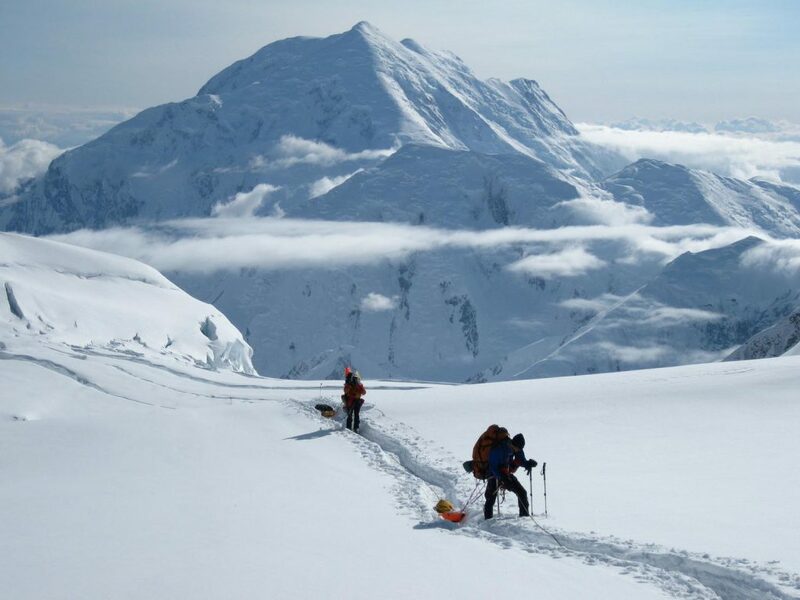 Obviously, if you are an experienced mountain climber, Denali will offer a robust challenge! But for those of us who are a little less driven, the months of June, July and August also provide the perfect weather for day hiking in this immense wilderness, and Autumn is not to be missed, as the golden hues of quaking aspen sparkle on the backdrop of spruce and pine trees. 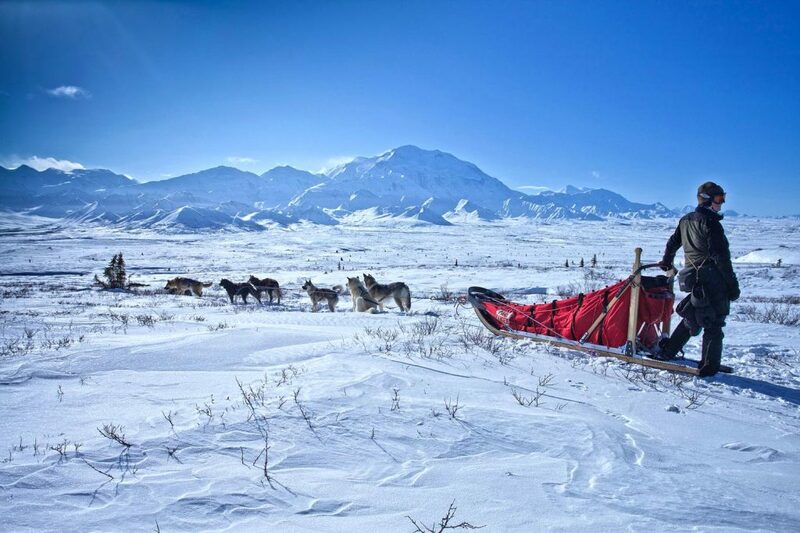 Denali National Park and Preserve is open year round, and those who partake of its pleasures in winter find the perfect setting for dog sledding, cross-country skiing and snowshoeing. In fact, the winter visitors center offers free snowshoe rentals for those wanting to get into the backcountry. Winter biking has also become a popular pastime, and even though most of the park is closed to snow machines, there are some exceptions for their use when snow cover is good. One of the most amazing benefits of visiting during fall or winter is the opportunity to see the Aurora Borealis while in the park. Because full darkness doesn’t return to this part of the world until September, this phenomenon isn’t easy to see at night during the summer tourist season. 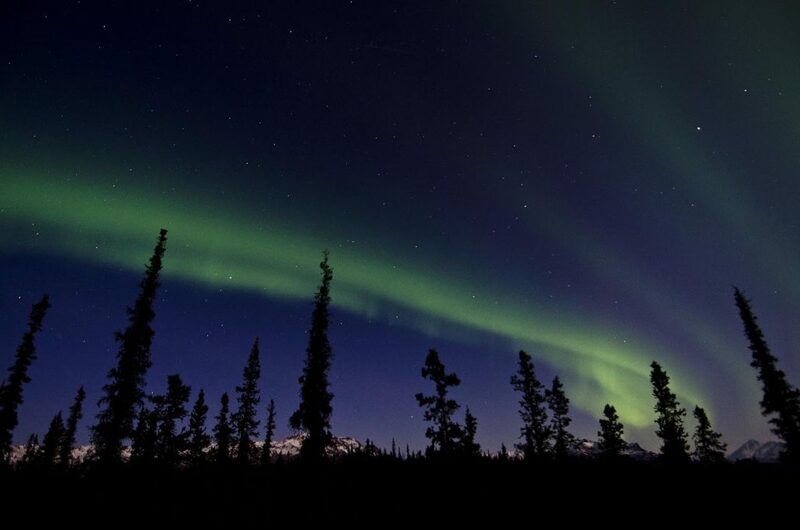 If you can possibly schedule a fall or winter trip to Denali, you might be overwhelmed with a visit from the Northern Lights while there! For me, that was the icing on my “Visit Alaska” cake! It is easy in either season to spend several days in this remote wilderness, exploring the varying landscapes and watching such an amazing array of wildlife at your doorstep. At some point, you may feel as if you are the animal on display in a zoo, with grizzlies, moose, and caribou ogling your every move. You definitely won’t find an experience of this magnitude in the lower 48. 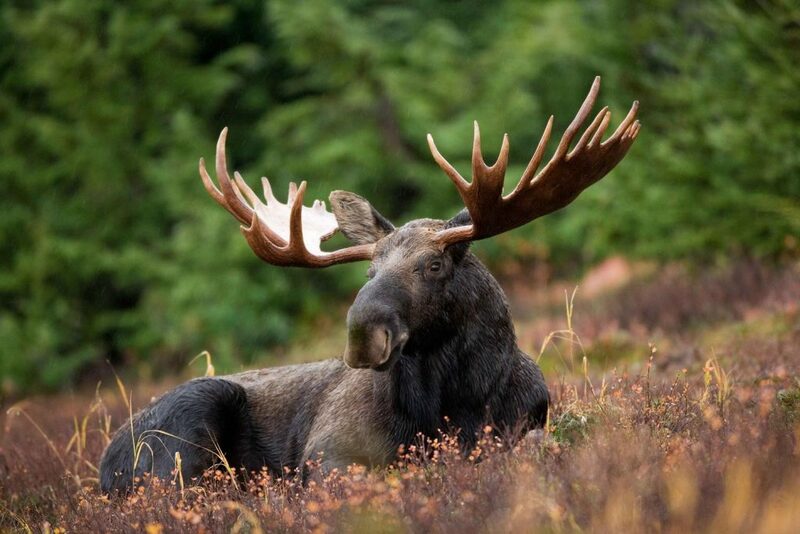 With any visit to Denali, we must remember the star of the show. Many times the biggest hurdle in actually viewing the mountain is the weather. The peak is so large that it creates its own weather system. So plan to stick around for several days, just in case the clouds envelope this stunning mountaintop for part of your visit. Like any great stage performer, Denali sometimes enjoys making a dramatic appearance! Visiting Denali National Park is like adding a crown jewel to your itinerary. 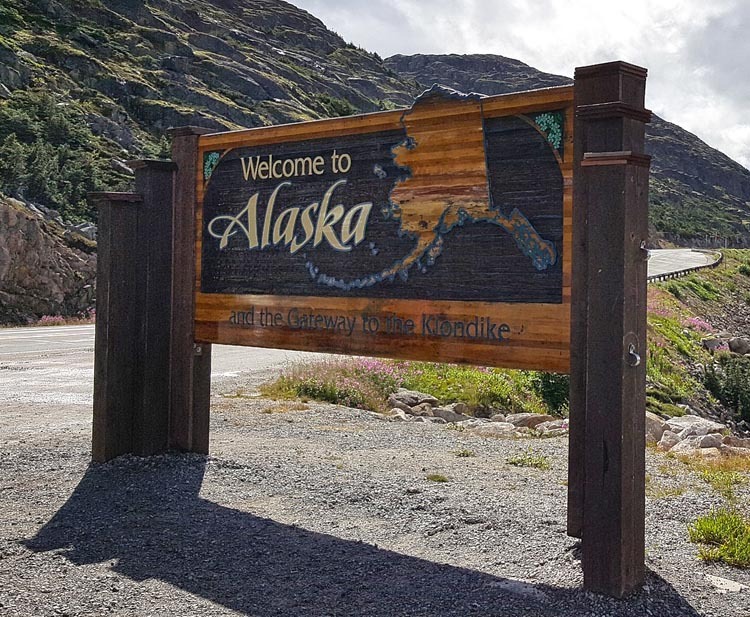 Be sure to pencil it in on your trip list, then check out several other destinations to the Last Frontier as we post them here on the Camping World blog in the coming weeks! 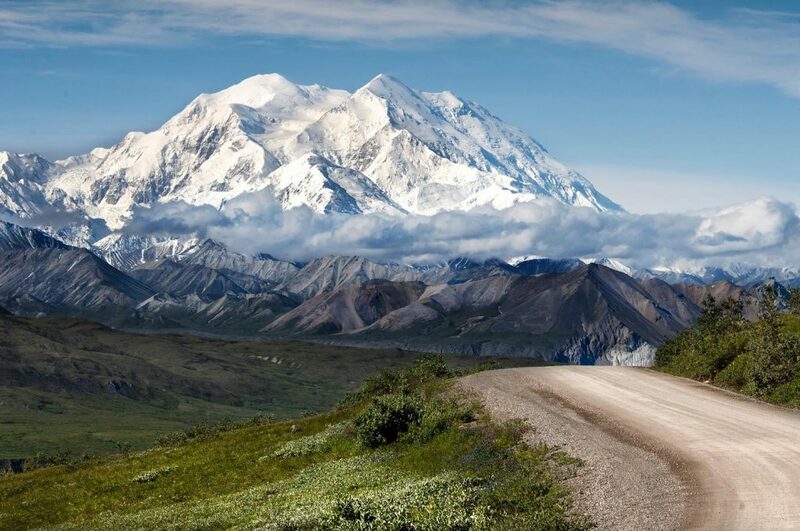 What are your thoughts of Denali National Park? Have you ever been? Leave a comment below!